Winner of Tribeca Film Festival 2007 Top Award, Winner of Taormina Film Festival 2007 Best Director. 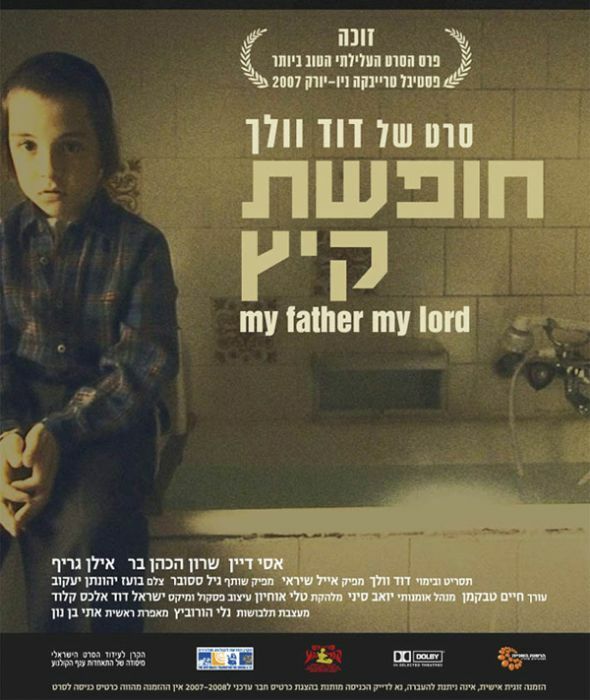 David Volach’s first film, My Father My Lord was conceived as a thematic dialogue with Krzysztof Kieslowski’s “Decalogue 1” and framed as a variation on the story of Abraham and Isaac. The film depicts a man, devoted to a life of study and worship, who hopes to impart his faith to his young son. It is a journey to the innermost world of the believer as he comes face to face with the still silence of God. Volach comments: “In My Father My Lord, I wanted to demonstrate the foundations of the atheistic excitement which are ingrained in us from childhood – the natural curiosity through which life is observed; the encountering of events as they are without a self-imposed meaning; emotions accessed directly, devoid of hierarchic discipline – a world view full of wonder. Furthermore, through the film I wanted to convey the perplexity of religious belief – the larger-than-life ideologies - as clumsy and lacking in mental and human authenticity. I wished to cast doubt upon the emotional reliability of anything that binds us via the unholy trinity of Authority, Discipline and Meaning." David Volach was born in Israel in 1970 and brought up, together with his 19 siblings, in the ultra- orthodox religious community of Jerusalem, one of the most religious communities in the country. In his late teens, he studied at the prestigious Ponevezh Talmudical Yeshiva, where he began a long process of secularization. At age twenty-five, he left the religious community, became secular and moved to Tel-Aviv to study film. Living with his wife and son in the ultra-orthodox community of Jerusalem, Rabbi Abraham devotes his life to the study of Torah and Jewish Law. 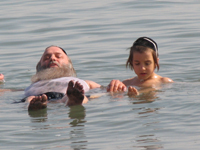 His son Menahem is at an age where he absorbs the world around him as a place of wonder. He does not resist but follows listlessly as his father leads him along the straight and narrow path that must be pursued by men of faith. But Abraham’s guidance can count for only so much in the scheme of the universe. On a summer vacation to the Dead Sea, his faith is put to the test.